The only UL Listed heat reclaimer on the market, the Magic Heat will reclaim up to 30% of lost heat from your heating appliance and distribute it into your home. 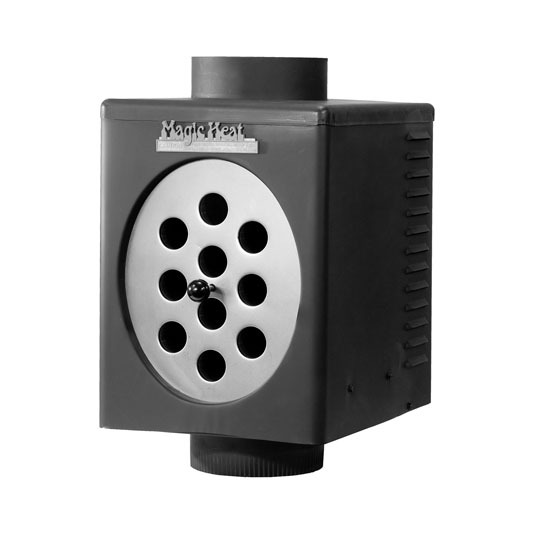 Designed for use with all types of heating equipment with inside flue temperatures exceeding 350 degrees, skin temperatures of 280 degree measured below the Magic Heat. Available in 6", 7" and 8" pipe diameters. Manufactured in the USA.